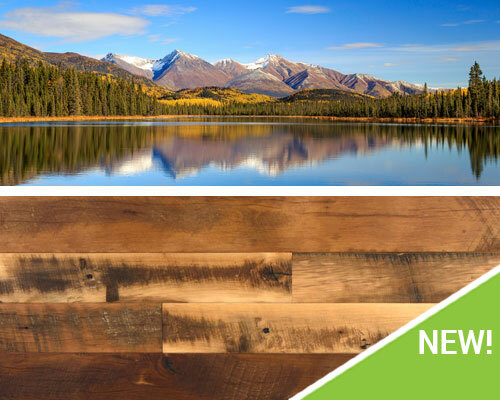 Olde Wood Limited® knows reclaimed and wide plank flooring. Unlike the modern "strip flooring" you’re tired of seeing, a premium, wide plank floor evokes a feeling of quality, sturdiness, craftsmanship, and tradition. Every board is selected by hand, rigorously inspected, and milled into a work of art. With a hardwood flooring option for every style and every budget, Olde Wood Ltd. puts the perfect wide plank floor for you within reach. 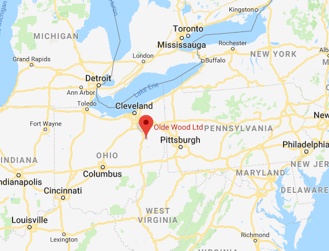 Since our earliest days in Northeast Ohio, Olde Wood has proudly milled wide plank hardwood floors from one of the broadest selections of wood species you’ll find anywhere – sturdy oak, light-bodied walnut, golden heart pine, rich-textured chestnut and many, many more. Each of our hardwood planks is crafted with an artisan’s admiration for the trees from which our boards are shaped. Whether we’re milling reclaimed timber into rustic wide plank floors or putting a custom-blended finish on one of our traditional hardwood planks, we put painstaking care into our craft. The result is wide plank hardwood flooring we feel proud to stand behind – wood that recaptures the American pioneer spirit. Few products are as cherished as our wide plank oak flooring. For some, it’s the rich heritage of our reclaimed oak flooring – available in either solid wide board oak or wide engineered oak planks. 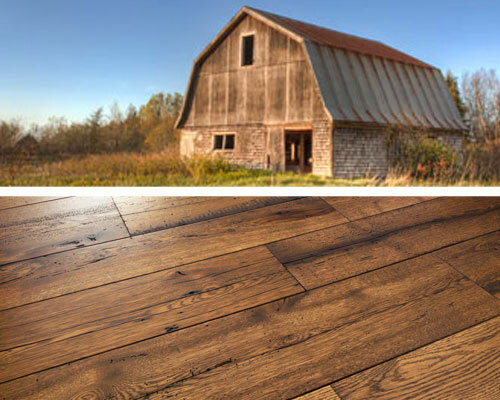 Our reclaimed oak floors are milled from the wood of recycled barns. For others, it’s our rustic oak flooring products – milled into wide oak floor planks using traditional sawing practices. Still others fall in love with the dense grain patterns of our Venture Collection, which draws its inspiration from nature’s most majestic canvases. 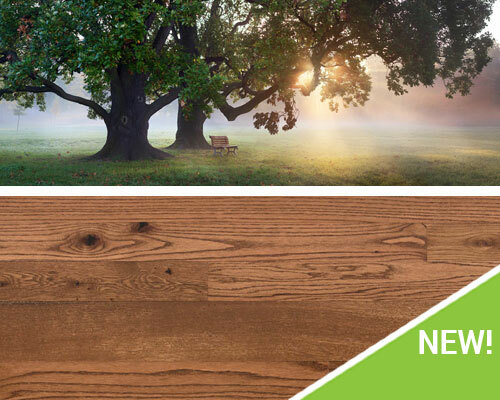 Regardless which of our wide plank oak flooring products resonates with you, we think you’ll agree: Few hardwoods are as enduring as oak. 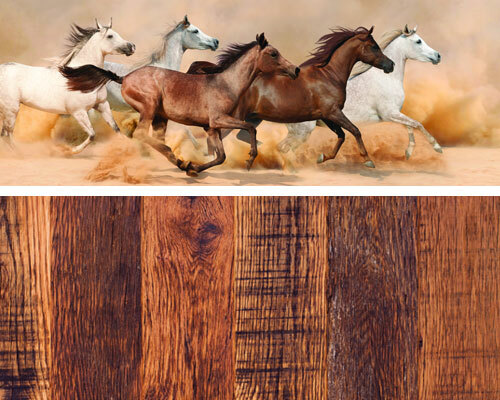 Engineered hardwood offers versatility and beauty in a real wood flooring product. Most of our flooring lines are available in an engineered wide plank option. We offer wider widths, longer lengths, and more species to choose from than our competitors. Our wide plank engineered flooring comes in widths from 3” to 11” and lengths ranging from two feet to 12 feet. 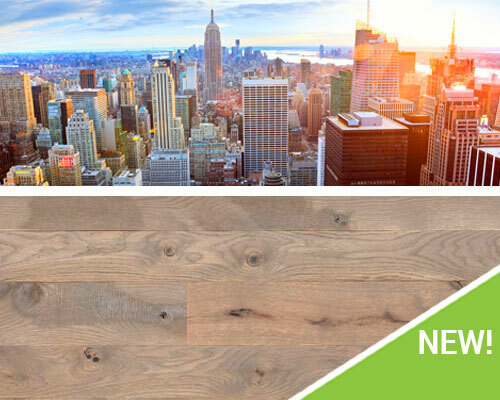 See and feel our engineered wood floors for yourself, and you’ll discover something else that’s different: Whereas most have a 1-2mm wear layer, our engineered wide plank floors feature an impressive 4mm wear layer made of solid wood. 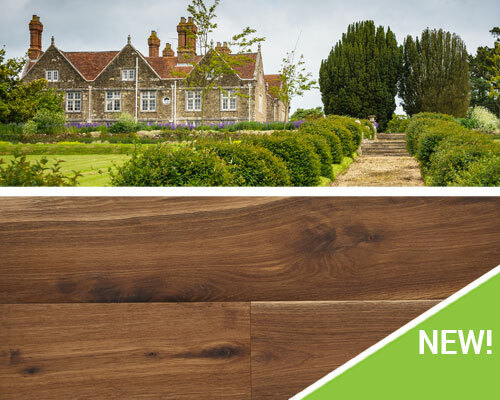 Find Your Perfect Wide Plank Floor Today! Let us put our decades of experience milling wide plank flooring to work for you. Browse our wide plank flooring collection then give us a call so we can help you craft the floor of your dreams. How wide are wide plank floors? Most of our wide plank floors have widths from 3” to 11”. 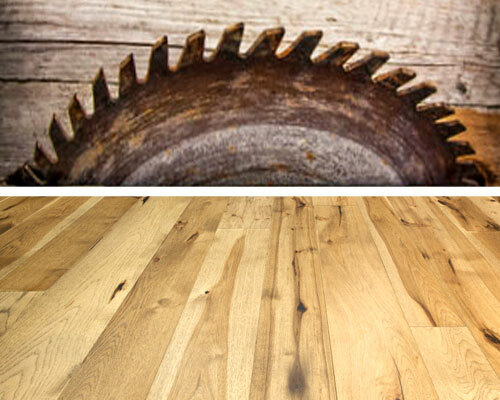 We’re a custom wood flooring mill, so our planks are milled to your specifications. 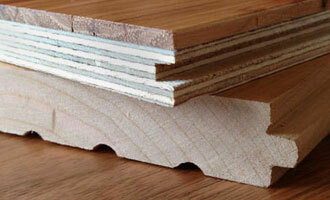 If you need extra wide floorboards, we can mill them for you. We also offer mixed-width wood planks for when you want to incorporate a variety of widths into your hardwood floor. How long should I let my wide plank hardwood floors acclimate before installation? Unfinished hardwoods should typically acclimate for 7 – 10 days, while prefinished hardwoods should typically acclimate 10 – 14 days. This will allow the hardwood’s moisture content to reach equilibrium with the environment in which it will be installed. Where can I find photos of wide plank flooring? Do you need Solid or Engineered Flooring? Not all floors are built the same. Depending on your climate, grade-level or subfloor you may be a candidate for our engineered flooring option. Not sure what we're talking about - or maybe you've heard some confusing info on it?